Lions Gate Entertainment is having an incredible start to the trading session today, and for good reason. The company recently reported its earnings for the fourth fiscal quarter of 2016, and the report was incredibly positive. Today, we’ll talk about what we saw from earnings, how investors reacted to the news, and what we can expect to see from LGF moving forward. Earnings Per Share – In terms of earnings per share, LGF definitely did not disappoint. During the fourth quarter, analysts expected that the company would generate earnings in the amount of $0.01 per share. However, the company actually reported earnings in the amount of $0.07 per share, well ahead of expectations. Revenue – When it comes to revenue, we saw more of the same. During the quarter, analysts expected that LGF would generate revenue in the amount of $741 million. Even at this rate, it would prove incredible growth on a year over year basis from $646 million. Nonetheless, the company actually reported that revenue generated in the quarter came to a total of $791 million. As investors, one of the first pieces of news that we learn to watch for is earnings. After all, a strong earnings report can send the value of a stock soaring, while a weak report will lead to heavy declines. Naturally, following the strong earnings report, LGF is having an incredible day in the market today. Currently (11:46), the stock is trading at $21.03 per share after a gain of $1.27 per share or 6.43% thus far today. 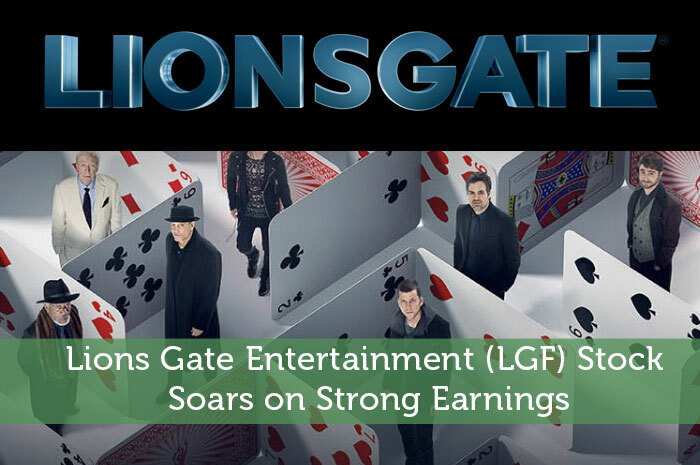 Moving forward, I have an overwhelmingly bullish opinion of what we can expect to see from Lions Gate Entertainment. While the company has fallen on hard times recently, it seems as though they have a clear plan for growth moving forward. As Feltheimer said, the company is working on a film slate that’s “bigger, more balanced, and expected to generate greater profitability.” In the fourth quarter, the company showed that revenue and earnings are coming back. As they continue to execute on their plans for growth, LGF stock will likely continue to climb.